NoMAA is pleased to announce its next exhibition at the NoMAA Gallery, Immigrant Too, a follow-up to NoMAA’s previous show of 2010, titled Immigrant. 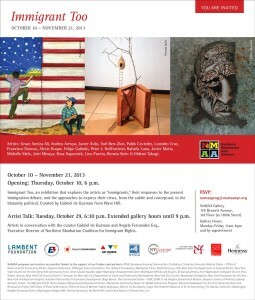 This second exhibition delves into the artist’s notion of being an “immigrant,” how he or she responds to the present immigration debate as it is carried out in personal, public, and political spaces, and what approaches the artist takes, from the subtle and conceptual, to the blatantly political. 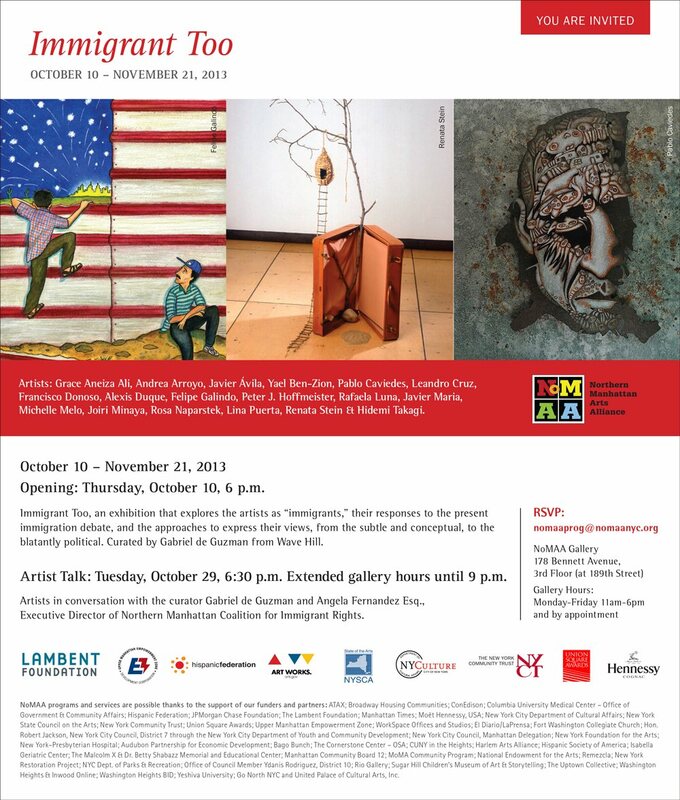 Opening Reception: 10 October 2013, 6:30 p.m.
artists represented in the exhibition.